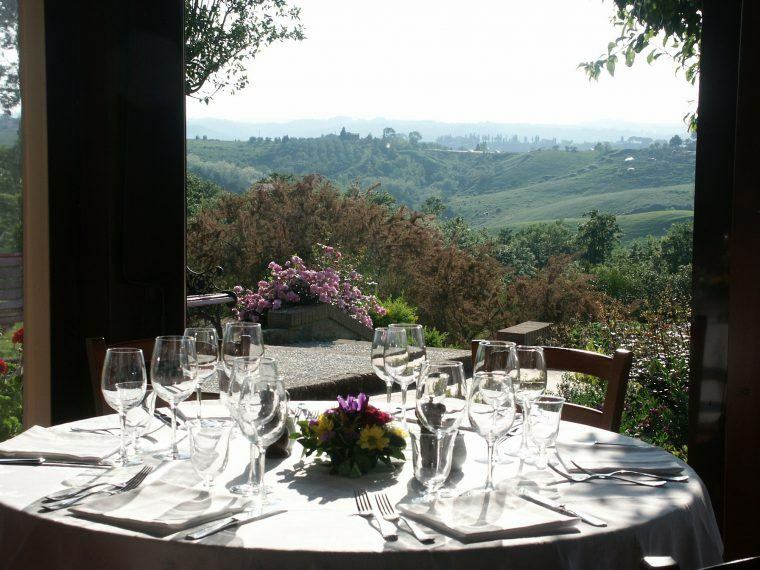 The view is as good as the food when Having a Taste of Tuscany! Tuscany is definitely on top of the list for the must-visit regions in Italy. Aside from its cuisine, it is also breathtakingly beautiful. In addition, the area offers every traveler a lot of diversity. From medieval towns and coastal cities, to the beautiful vineyards scattered around the Tuscan countryside, there is absolutely something for everyone in the region. If you are planning to visit this exquisite region, make sure to keep in mind that apart from the popular tourist attractions like the Leaning Tower of Pisa, the taste of Tuscany is just as important to add to your experiences. Inspired by the simplicity of a typical Italian kitchen, the food in the region is mostly made up of a few humble ingredients transformed into spectacular meals. In Italy, they call this style of cooking ‘cucina povera.’ It is passed down from generation to generation because not only is it delicious, it is also very healthy and environmentally friendly. Lampredotto is a popular Florence street food. It is the fourth stomach of the cow that is cooked in broth and then served with salsa verde and spicy sauce. Crostini Toscani is commonly served as a starter. It is basically a baguette served with chopped chicken liver sauce on top. Panzanella is a cold bread salad. The ingredients include unsalted bread, tomatoes, red onions, basil, olive oil, vinegar and salt. Its name of origin derives from two words – pan, which is short for pane or bread, and zanella, which is an old Italian name for bowl. Lardo di Colonnata is a famous dish that originated from a town called Colonatta. It is pork lark cured in local marble. Ribollita is one of the most popular winter dishes in Tuscany. This hearty soup contains different kinds of cabbage, beans, onions and carrots. It is a perfect mix for the start of the winter season. We absolutely adore this dish and have made it at home many times! Scarpaccia di Camaiore is a tart made with zucchini, onion, flour, water, olive oil and seasoning. It turns crisp, golden and tasty when baked in the oven. We had this on our Tuscany trip and it is incredible! Pici Cacio e Pepe is originally a Roman pasta dish, but it has been adapted to the Tuscan cuisine by using local pasta called pici, and a local cheese called ecorino toscano. Pici is a thick hand-rolled pasta-like fat spaghetti that originates from the province of Siena in Tuscany. Cacio e pepe is Italian for cheese and pepper. If you want to learn how to make Pici with us, join us on our next Tap into Your Terrific in Tuscany Trip. Bistecca alla Fiorentina is a Florentine T-bone steak that honestly needs no introduction. It is delightfully rich and very flavorful. Its secret lies in the breed of the cattle known as Chianna beef. It is so tender that it can be cut with a spoon. Pappa al Pomodoro, also called Tomato Bread Soup, is a soup that the entire Tuscan region has fallen in love with. It is a local favorite and it is made with stale Tuscan bread, tomatoes, garlic and basil leaves. This dish definitely shows off the Tuscan’s ingenious use of stale bread, and the locals’ ability to turn the most humble ingredients into something special. Great at home during the winter! The Barefoot Contessa has a wonderful recipe that you can try. Cacciuco is a popular seafood soup that is widely famous at the coast of Livorno and Viareggio. Each town has a unique way of preparing cacciuco. The origins of its name come from a Turkish word called ‘kucick,’ which means minute or small. It is touted as such because its ingredients are made into small pieces. Castagnaccio is a traditional cake made with chestnut flour, which is very common in the mountainous area of Tuscany. It can be eaten all year round because it’s good both warm and cold. Indeed, the best way to enjoy Italy is to indulge in a gastronomic experience and get a taste of Tuscany. 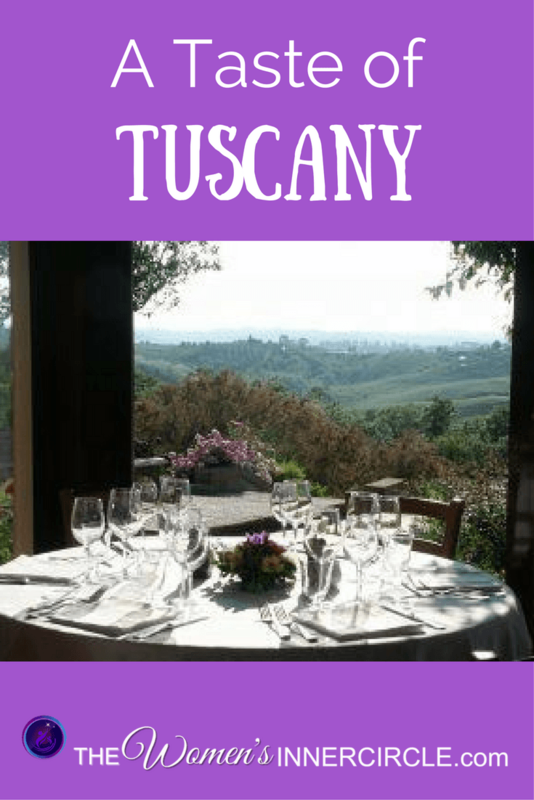 If you’d like to join us and really get a taste of Tuscany, you’ll want to sign up for our Tap Into Your Terrific in Tuscany trip.